Thrifts Walk Studios is our artist run space in Chesterton, North Cambridge. It’s home to ten artists and makers, with a shared kitchen area, garden and wifi, plus is where the Art Salon team, volunteers and contributors meet. 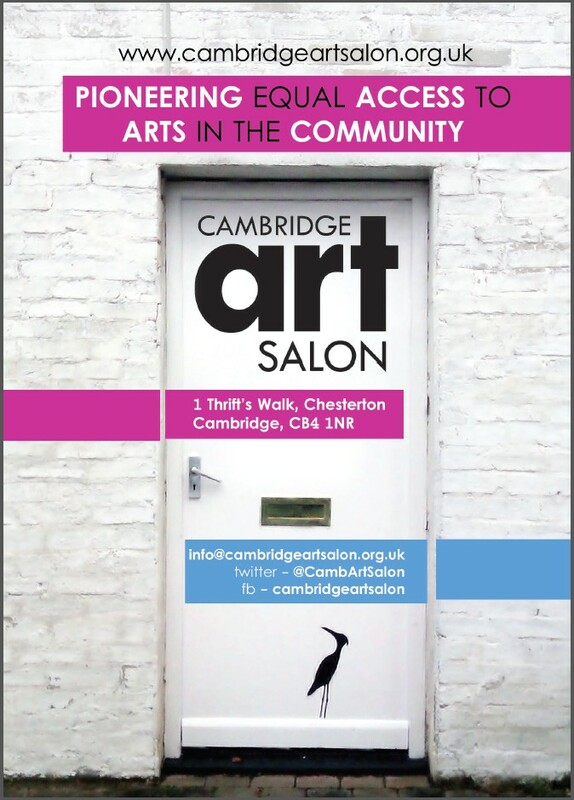 There are regular opportunities to take part or learn about professional artistic opportunities with the Art Salon, but also citywide, as part of Cambridge’s art scene. It was lovingly restored by artists and volunteers in the community, from a derelict warehouse into a thriving art space, in 2015-16. Thrifts Walk opened with a series of shows in its pop up gallery, including exhibitions as part of the Art Salon’s curated We Are Family programme, from photographer Jo Randall, portrait artist Heloise Toop, and interdisciplinary artist Gudrun Filipska, in March 2016.